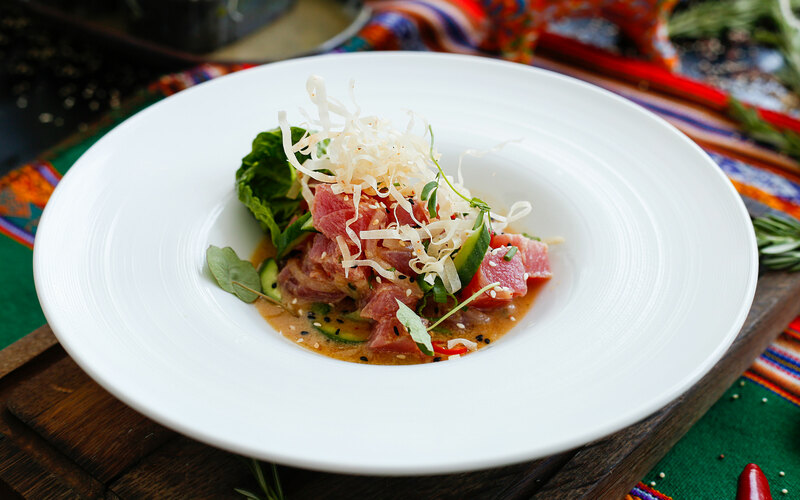 I was recently invited by the wonderful people of Good Magazine for a ‘Flavors of Peru’ cooking masterclass hosted at the JW Marriott Marquis, Dubai – Garden Restaurant. 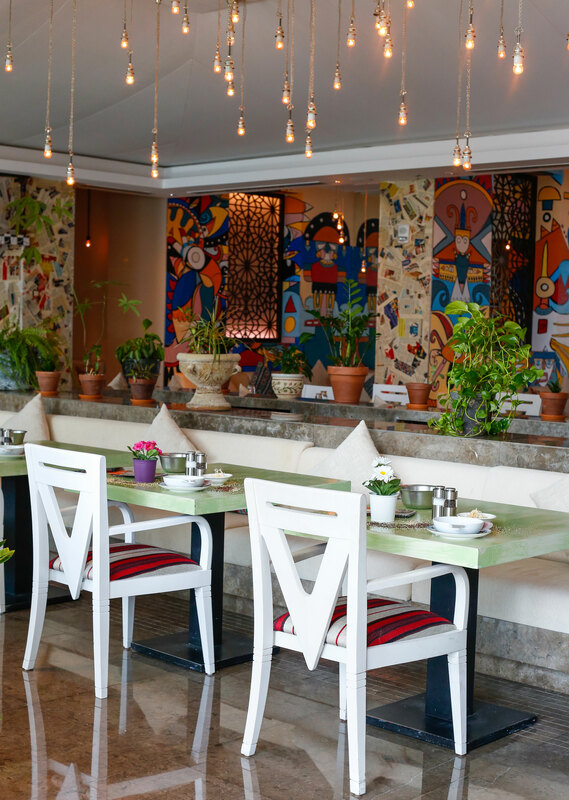 The restaurant’s colorful and vibrant decor grabs your attention right from the moment you walk in. 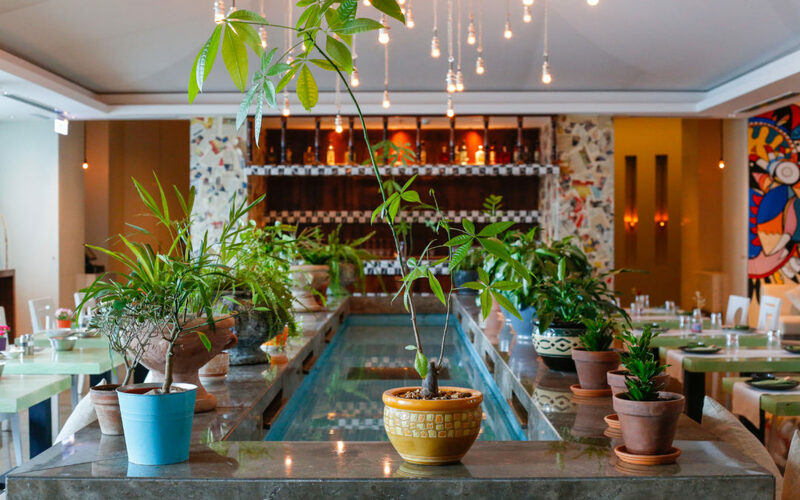 Rows of potted plants, newspaper cuttings as wallpaper, bulbs dancing from the ceiling and rows of lime green tables all set the right tone for your meal. 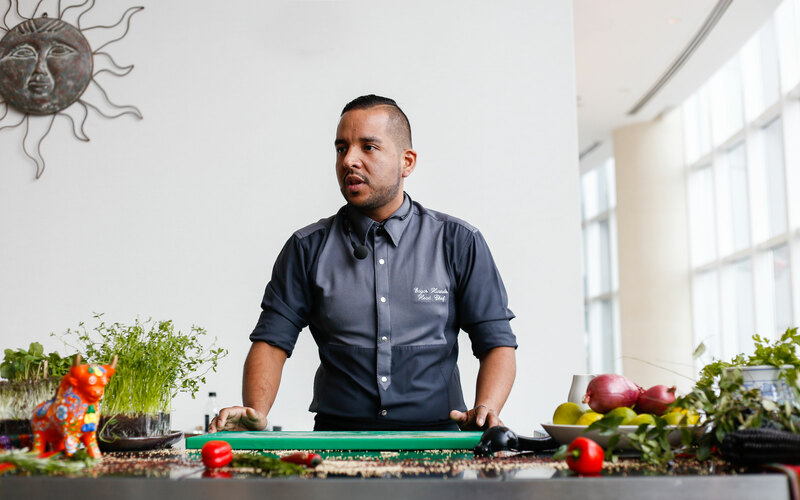 The creative mind behind all the delicacies on the menu – Chef Edgar Hurtado – gave us a little introduction into the world of Peruvian cuisine before beginning his masterclass. 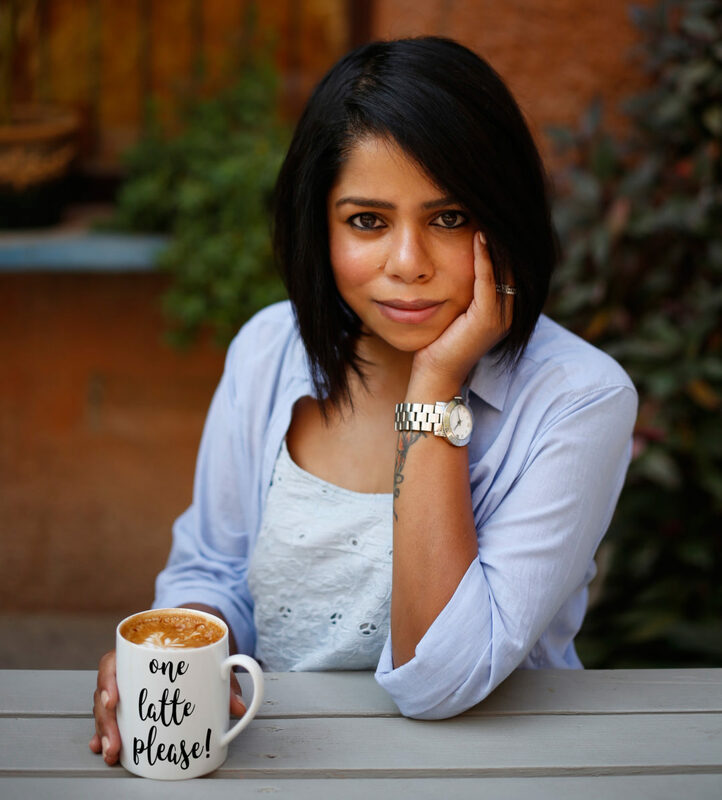 It was color, color all the way…. 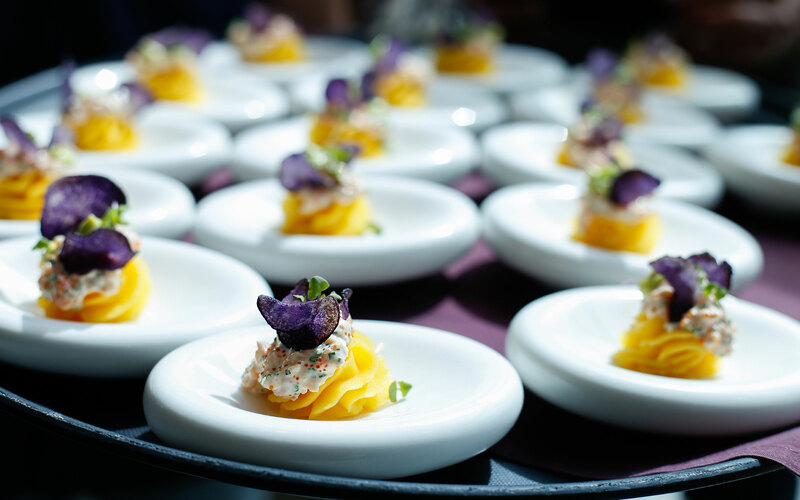 One of the first things we tasted was the Causa De Salmon made from Peruvian potatoes, lime and aji amarillo. Such a beautifully plated and colorful dish – and it was super delicious too! 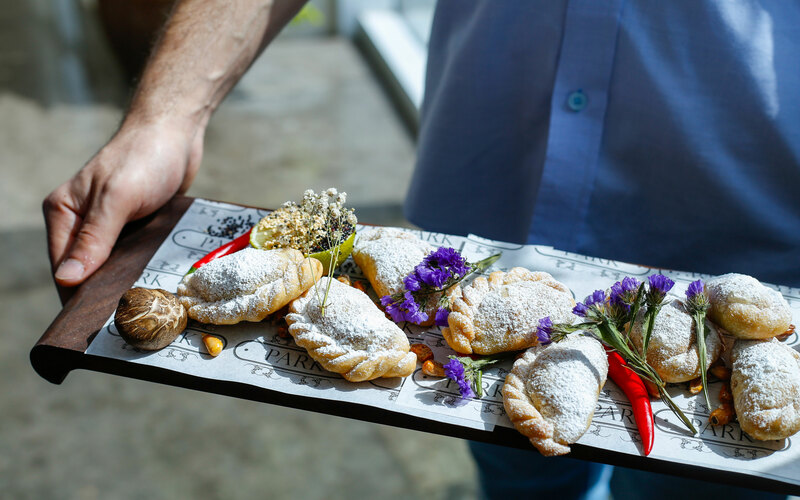 Traditional beef empanadas made from beef tenderloin mince, panca chilli paste and raisins. Don’t they look amazing?! Love the detail in the presentation. I am not a big fan of raisin in savory food, but this was one exception! I could have eaten more than my fair share! These were some seriously flavorful mouthfuls! 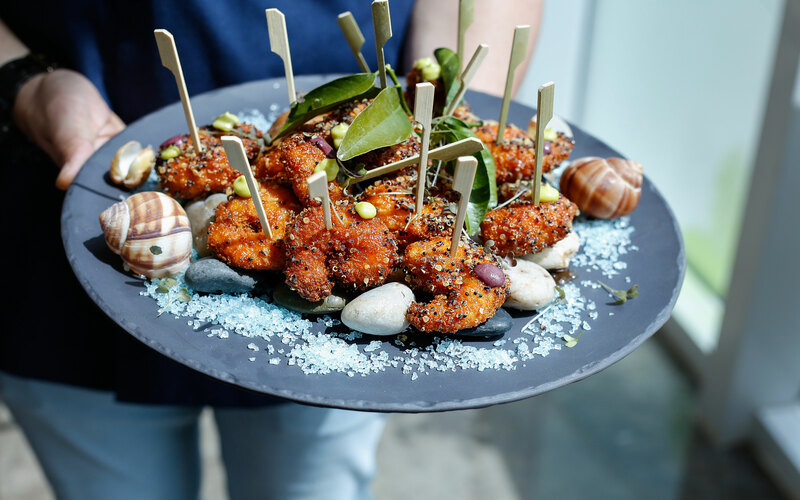 Camarones Novo – Quinoa prawns skewers and a spicy maracuya salsa. Such different, yet wonderful combination of flavors. A very happy palate indeed! 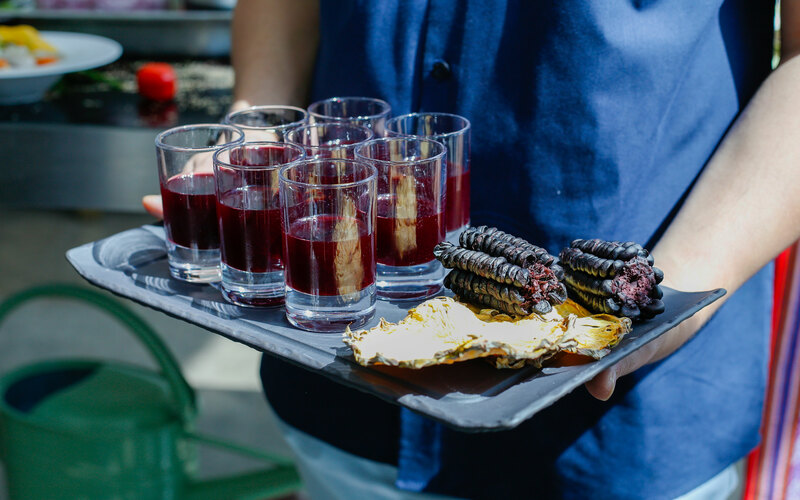 Chicha Morada – This drink is made from purple corn, pineapple, apple, cinnamon sticks, lime juice and sugar syrup. Apart from its very unique and refreshing taste, this concoction has some major health benefits as well. Win, win! 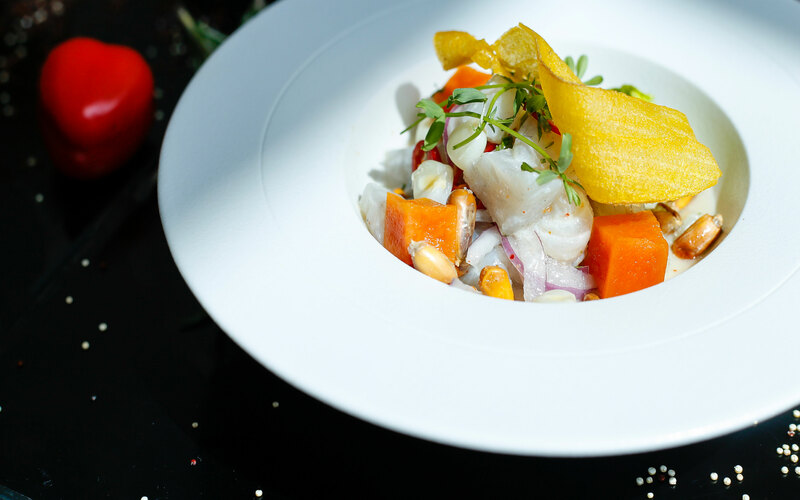 The Ceviche Clasico – one of the dishes that was prepared in the masterclass and a Chef Hurtado favorite. Sea Bass, Leche de Tigre (usually made with lots of lime juice, garlic, cilantro and lime), red onions, chulpi corn and sweet potato tempura. I am a huge fan of ceviche and was more than delighted to have this as part of our tasting menu. Next on the ceviche masterclass list was the Ceviche Chifero – tuna, cashews, avocado, spring onions, white onions, cucumber, soy sauce, sesame oil and crispy wan-ton. And yes, it tastes as exquisite as it sounds! This one was fun to watch and eat! Ceviche a la piedra – Sea Bream cooked on a hot piece of coal (which is inside this stone bowl). 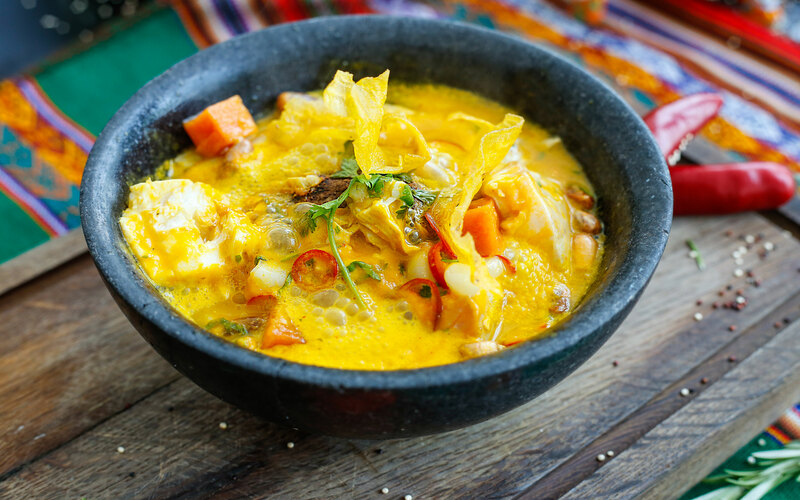 Yellow chilli paste or aji amarillo along with Leche de Tigre is combined to make a rich broth which is added at the very end to give you all the sizzle and splatter! Love all the theatrics! 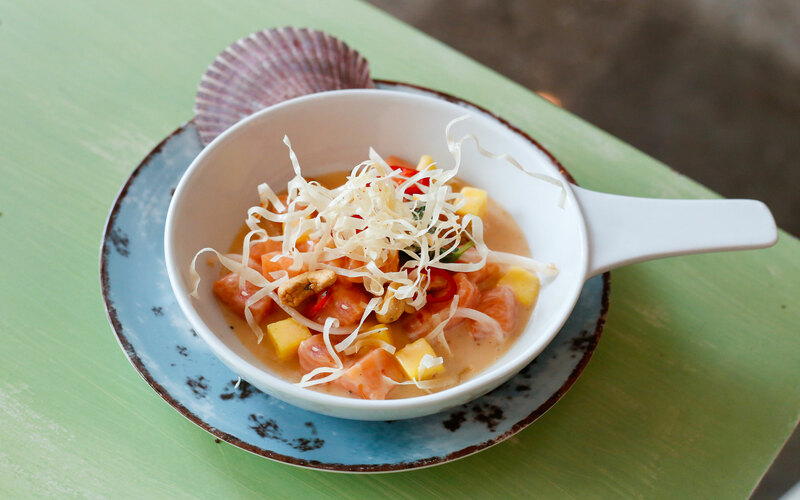 We got to make our own Thai influenced ceviche! 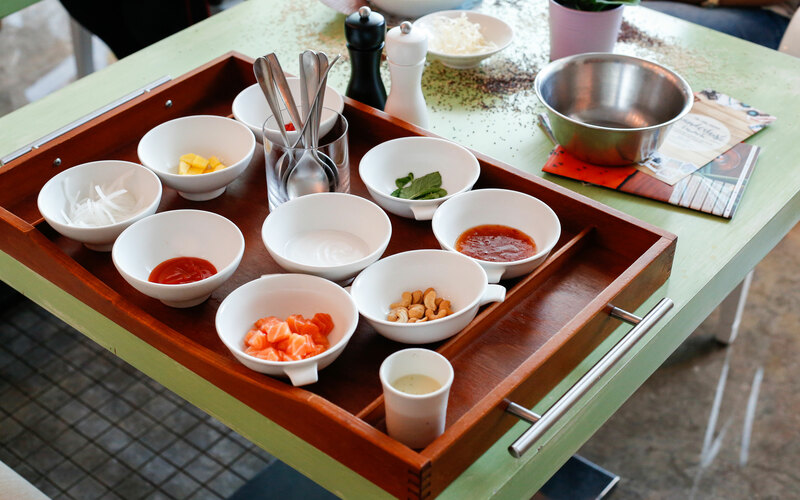 Combined salmon, sweet chili sauce, coconut milk, cashews, mango, mint, white onion, red chillies and crispy cassava. And presto! So, so good, even if I may say so myself! Now this incredible dessert platter was a bespoke dish prepared especially for this event! 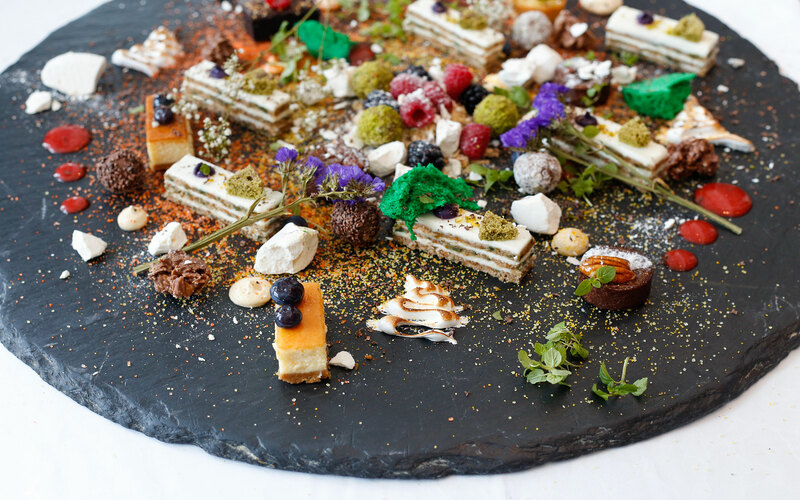 It was made up of several elements from their signature desserts, such as tres leches, granadilla cheese cake and the lucuma chocolate princesa. The pastry chef did all of this in under two minutes! And boy, was it divine! So many textures, colors and flavors all complementing one another beautifully. If only I could have done more justice to it! I am definitely going back to try out more of their food soon!